If you want them here so badly, why don’t you take in a refugee? 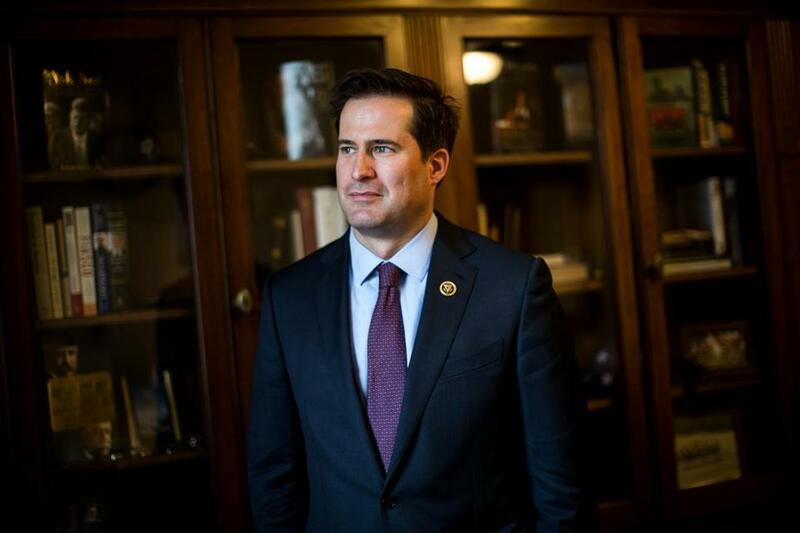 That was the inevitable response from some of congressman Seth Moulton’s critics this week, after he called out Governor Charlie Baker for saying he didn’t want Syrian refugees coming to Massachusetts until his concerns over security are assuaged. Actually, Moulton has opened his home to a refugee. In this and other ways, the representative from the Sixth District speaks from experience as he takes a blessedly unequivocal stand in favor of compassion and common sense on this issue. Baker’s claim that Moulton’s arguments are “partisan talking points” is beneath him. It is also ludicrous. 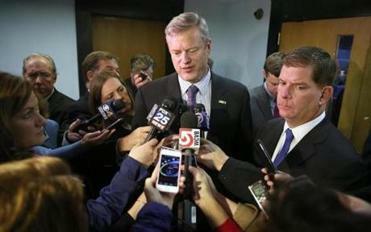 Governor Baker and US Representative Seth Moulton ramped up a tiff Tuesday that began a day earlier. On four tours in Iraq as a US Marine, Moulton saw the desperation that drives people to uproot their lives and endure grinding hardship in the hopes of a better future — or any future at all. Baker isn’t playing on fear, like the knuckle-draggers arguing that we should reject even 5-year-old orphans, or invoking the World War II Japanese internment camps with approval. But the governor is succumbing to that fear, which is almost as bad. Seth Moulton in Nahant, with Mohammed, his translator from Iraq. His translator in Iraq was devoted to those values, Moulton said. “He exemplifies the American dream more than just about anybody I know.” He risked his life, and his family’s, to defend it. When civil war descended on his country, and insurgents targeted his family, it became impossible for the translator — here on a Fulbright scholarship — to return home, so he applied for asylum. For a while, he lived with the Moulton family in Marblehead. Moulton says he is like a brother. A data guy like the governor should know that. And if he didn’t know it before his conference call with federal officials Tuesday night, Baker should know it now. It’s true that the reluctance to accept Syrian refugees here — by the way, there are no state border checkpoints in this great land, so there’s really nothing anybody can do to stop them moving here — has been a bipartisan affair. But that only makes Moulton’s stand all the more remarkable, and more imperative.